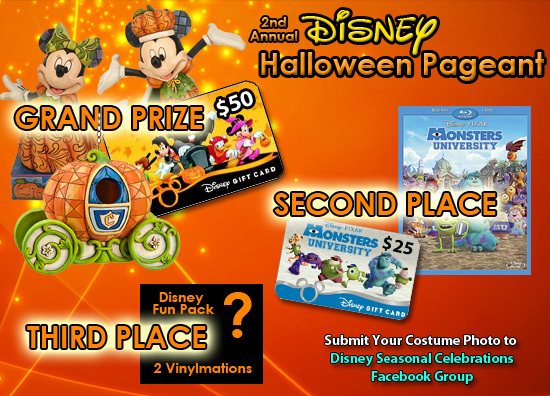 Frightening great prizes for the 2nd Annual Disney Halloween Pageant ! This entry was posted in Giveaways and tagged constest, costume, disney, free, giveaways, Halloween, pageant, prizes by My Disney Cloud. Bookmark the permalink. I’ve enjoyed seeing all the Halloween costumes posted for this contest. So many cute Disney ones. What a great contest! So many cute costumes! What a cute contest!! Good Luck!! Would love to win the giveaway. Would help a lot for our trip in March. Would love to win a gift card! Just got back from WDW and can’t wait to start planning our next trip! Thanks for the wonderful giveaway. Love Disney! This is a great giveaway!!! Love the theme and Love Disney!! !